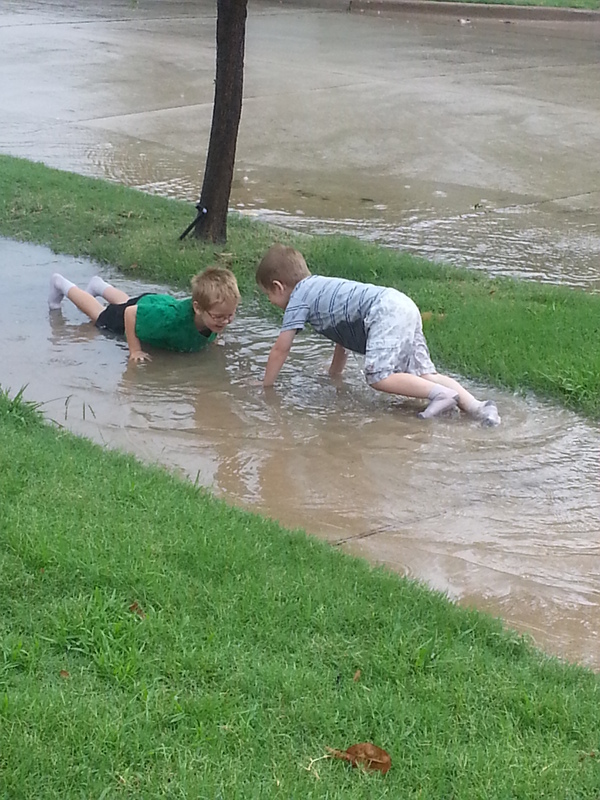 not as deep as they would like, but they sure are making due! LOL That’s awesome!!! 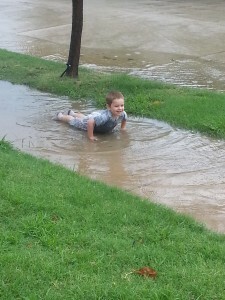 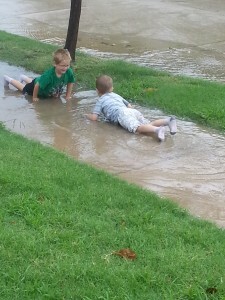 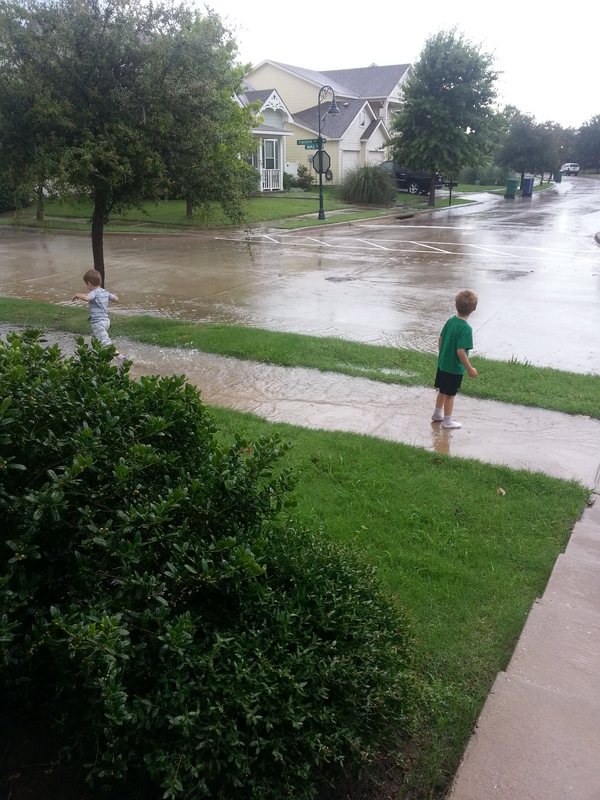 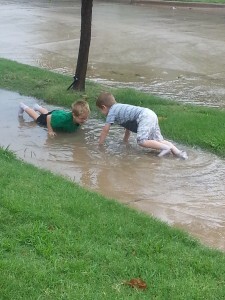 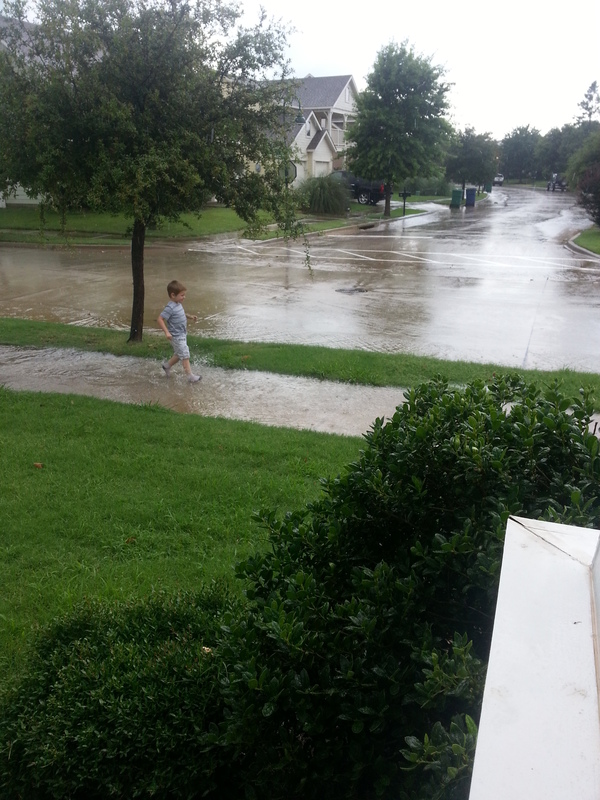 I miss being a kid and playing in the rain!!! Nothing like stompin puddles in socky feets! 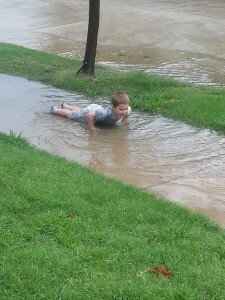 The lying down in the puddle is a new twist to me… those kids think of the darndest things! I remember an instance of this very thing during a downpour at Ambassador. 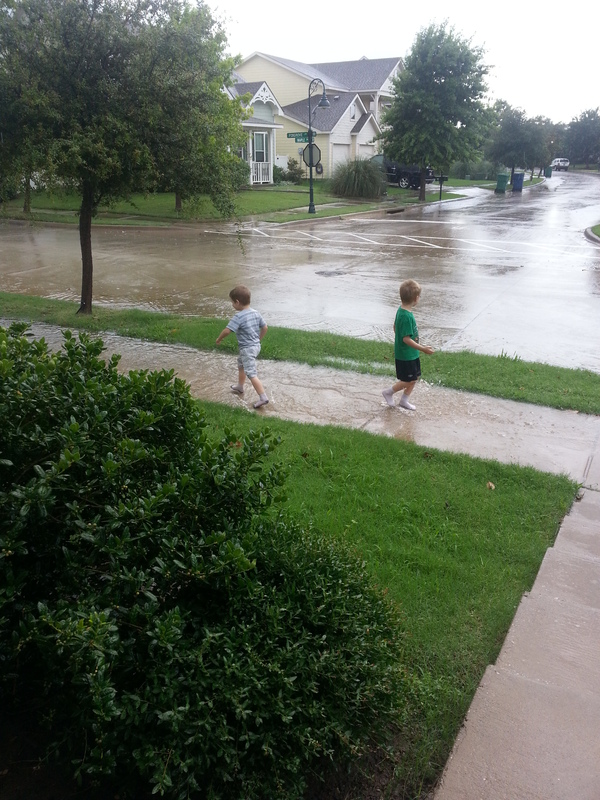 There’s something special about playing in the rain. 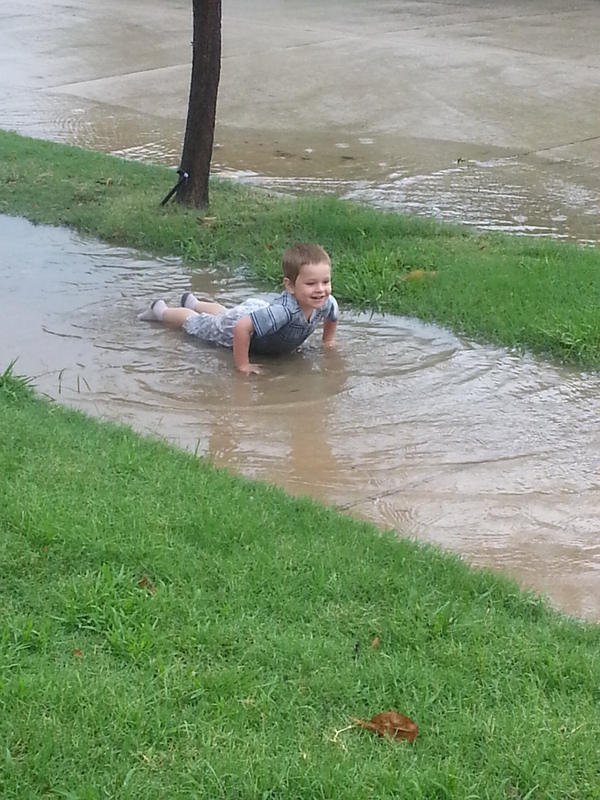 I mean, REALLY playing in the rain.